Holderness is a fascinating part of Yorkshire, full of oddities that belong to its remoteness, and are consequently little known. 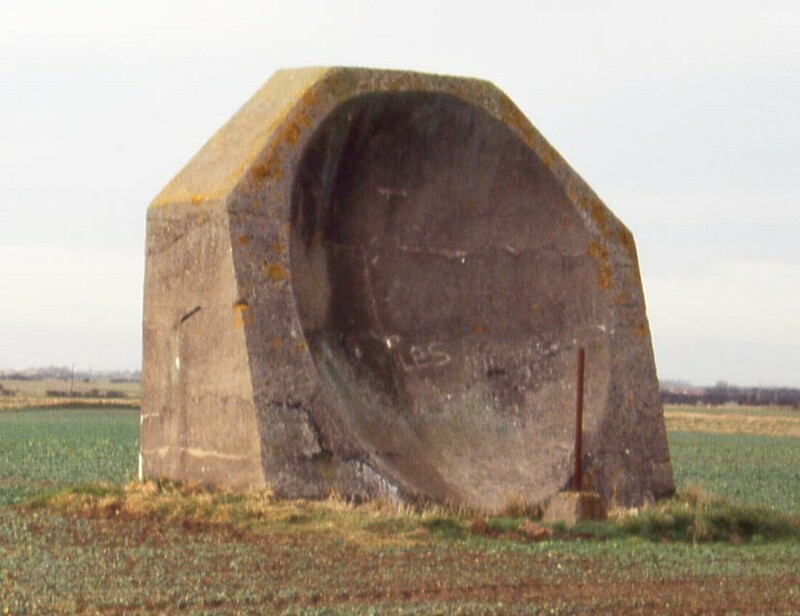 Among the First World War fortifications that protected eastern England from the German threat is a curious lump of concrete in a field north-west of the Godwin Battery on the coast at Kilnsea on the way to Spurn Point. This enigmatic piece of concrete is an acoustic mirror, a rare survival of an aircraft-detection system that was used between 1916 and the 1930s to warn of approaching enemy airships and aircraft. Based on an experimental sixteen-foot reflector cut into a chalk cliff near Maidstone in July 1915, the concrete acoustic mirror was a concave segment of a sphere with a trumpet-shaped sound-collector pivoted at the focal point. Listeners used rubber tubes, like a stethoscope, to pick up the noise of approaching engines across the sea, and panned the collector across the mirror to locate the direction. A range of up to twenty miles was claimed for this system, giving several minutes’ advantage over optical or aural observations. The system became less effective as aircraft speeds increased during the 1920s and was superseded by the development of radar from 1932 onwards. The best-known of these acoustic installations is the extensive 1928 group of two concave mirrors, 20 and 30 feet in diameter, and a 200-foot concave wall at Denge near Dungeness on the south coast of Kent. Two places where you can experience this principle practically are at the Jodrell Bank Telescope, in Cheshire [http://www.jb.man.ac.uk/visitorcentre/] and the Whispering Gallery in St Paul’s Cathedral, London [http://www.stpaulscathedral.org.uk/ and http://www.explore-stpauls.net/oct03/textMM/WhisperingGalleryN.htm]. Something similar is experienced in the Oyster Bar of Grand Central Terminal, New York City – a fact that was a trade secret of New York journalists for many years. Details of the Denge installation can be found at the very useful website http://www.andrewgrantham.co.uk/soundmirrors/locations/denge/ along with details of other similar locations, indicating whether there are any remains and whether they are accessible to the public. Other relevant websites include http://www.doramusic.com/soundmirrors.htm and http://www.culture24.org.uk/science+%26+nature/technology/art17649. The detailed history of the sound mirrors and their operation is Richard N Scarth, Echoes from the Sky (Hythe Civic Society nd). 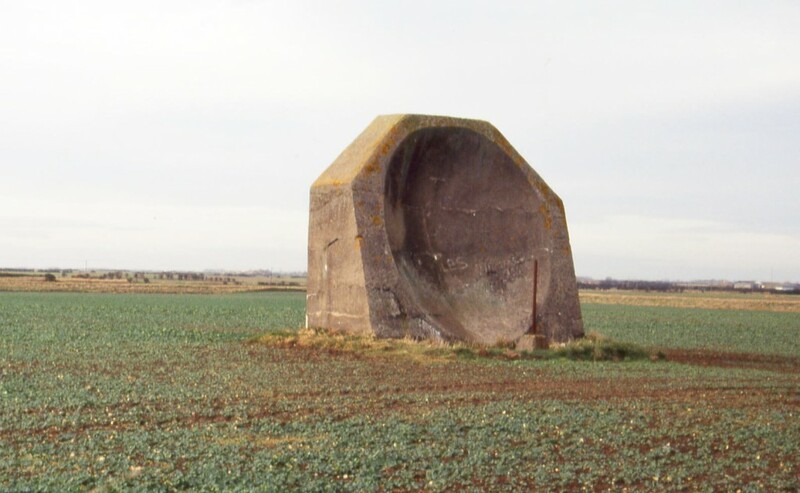 Alexandra Vaughan featured the sound mirror in her blog: https://spurnpointresidency2018.org/2017/10/06/sound-mirror. The Denge site is only accessible on public guided tours by the Romney Marsh Countryside Project: http://www.rmcp.co.uk/NoticeBoard.php. The Kilnsea acoustic mirror stands on private land: when visiting, please respect this by keeping to the nearest public footpath from the Kilnsea Wetlands car park: http://www.ywt.org.uk/reserves/kilnsea-wetlands-nature-reserve. This entry was posted in Humber Heritage on December 27, 2013 by Mike Higginbottom.